Monrovia – Documents obtained by FrontPageAfricashow that Dao Freeman, former commissioner of the Liberia National Police Training Academy, has been declared free of allegations of misappropriation of funds. According to a report of an investigation conducted by the Professional Standards Department (PSD) of the LNP, Freeman never requested and had no involvement in the disbursement of allowance into his account. The report added that the voucher, although it was processed in Freeman’s name, it was rather signed by the LNP Chief of Finance, C/Supt. James Cooper and the OIC of the National Police Training Academy, Supt. Prince Nagbe. The report further states that Freeman did not request the transfer of the said money into his account as alleged and that he was not requested to return portion of the special allowance that was paid into his account. According to Freeman, he was first notified of said money in a senior staff meeting, where the IGP, Hon. Patrick T. Sudue accused him of corruption, which he immediately rejected. 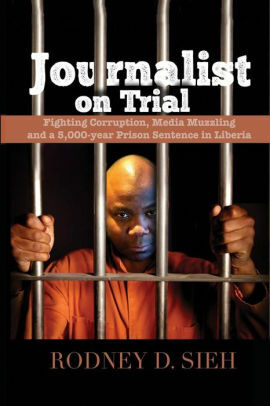 FrontPageAfrica reported in November 2018 that Freeman was suspended for one month following an investigation conducted by the PSD for allegedly requesting and receiving payments that was not intended for him. But new documents obtained by FPA have shown that Freeman was suspended for only gross insubordination, because he said “Amen” after the IGP said that no one was going to come between him and his deputy for administration but was not held liable for the allegations of misappropriation and misapplication of fund. On February 18, 2018, Freeman was relieved from his post as Commissioner for Training and Manpower Development, three days after the Inspector General of Police’s confirmation and was later accused of corruption by the same Inspector General during a senior staff meeting. He was later suspended and subjected to an investigation, but when he requested the investigation report, he was allegedly denied same. Freeman says he also wrote two separate communications to the Justice Minister Musah Dean, seeking his intervention but received no response as well. He then sent separate communications to the National Security Advisor to the President and the Liberian Senate Committee on Defense Security and Intelligence, seeking their interventions but received no response. In July 2018, Freeman’s one-month suspension ended upon which time he applied for his annual leave. It was subsequently approved by the human resource department and his two immediate supervisors of the Liberia National Police but was later rejected by Deputy Inspector General of Police for Crime Service (U-103) including Inspector General Sudue. The rejection of his leave request, according to him, was because they claimed he was under criminal investigation for allegations PSD had already cleared him of. “I wrote a follow-up letter to Unit-103 seeking the status of my leave, but up to date, there has been no response. U-103 told me to submit myself to a criminal investigation. I requested the presence of my counsel and I appeared with my counsel,” he said. Later, Freeman traveled to the United States using his annual leave as a means to honor an invitation at Cornell University to present on the ‘Yes to Peace, No to Violence Project,’ he authored in 2017. In October 2018, he requested an extension of his leave in order to seek medical attention, there was no response. He later discovered that he had not been paid for the past three months. In December 2018, Freeman says he informally received a copy of the April 2, 2018 investigation report, which acquitted him of corruption allegations. In late December last year, Freeman said he made another request to the Inspector General of Police for his clearance since he was not found liable, but to no avail. He was again ordered to subject himself to a third investigation – this time for “abandoning my job without the IGP’s approval.” After long exchanges between Freeman and some LNP authorities as the investigation remained pending, he was later dismissed. “I received a letter from LNP-HR dismissing me for abandonment of Job/Absent without Official Leave (AWOL) and travelling to the United States of America for 92 days,” he said while stressing that all he requested for was his clearance. He also stated that it was his entitlement to annual leave, and the IGP had denied him that right as a former employee of the Liberia National Police, which is a fundamental violation of his human rights. Up to now, Freeman added that the LNP has refused to issue him his clearance, which he says will further prove that he was not liable of the allegations. He claims that Police IG Sudue has blatantly denied all his requests for the clearance.